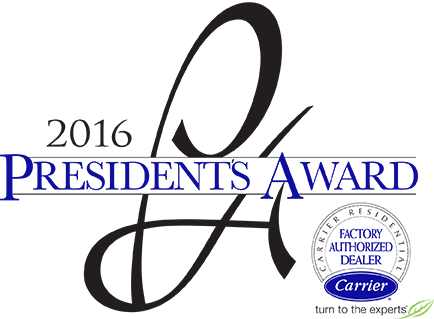 We’re proud to announce that Reliant Air Conditioning is a recipient of the prestigious 2016 President’s Award from Carrier! The award provides recognition for outstanding dealers in the heating, ventilating and air conditioning (HVAC) industry. One of Carrier’s highest honors for its dealers, the President’s Award, is given to Carrier Factory Authorized Dealers who achieved excellence in product promotions and delivered superior customer satisfaction, including AC repair and service. Recipients of this award represent the very best in operational excellence, business effectiveness, and delivering cutting-edge technology to consumers. Reliant Air Conditioning demonstrates technical expertise while also serving as a leader in promoting the Carrier brand and raising the standard for equipment sales. The dealership exemplifies service excellence and provides exceptional customer care. Looking for a Dallas AC repair and replacement company? Reliant Air Conditioning has been providing gimmick-free service to its customers since 1983. We’re proud to serve, and we’re honored to receive this distinction from the Carrier brand. Why choose Reliant Air Conditioning for AC repair, service, or replacement? Click below to download our “Why Choose Reliant” guide!